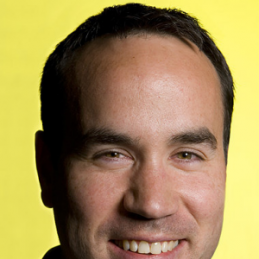 Prior to Jumptank, Justin, originally from the US, was the Innovationist at Google. He launched local YouTube portals across Asia Pacific, supported the launch of numerous consumer product releases including Google Maps and Google Wave, helped launch the first Android mobile devices in the region, brought the Google Creative Sandbox event to Australia’s shores for the first time, was a member of Google’s Global Creative Council, and co-created DNA, a digital thought leadership series hosted in both Australia and New Zealand. He also developed Digital Bytes, a technology event presentation format that has become the cornerstone of Google’s executive client engagement strategy across the Asia Pacific region. Justin is also on the advisory board of Underwater Earth, which has embarked on the SeaView Survey – a pioneering scientific expedition that is carrying out the first comprehensive study to document and reveal the composition and health of coral reefs on the Great Barrier Reef across an unprecedented depth range (0-100m). Justin’s work on underwater panoramic imagery is the subject of one of his patents.